Small Block 350 V8 with air conditioning, power steering, power brakes, disc brakes up front, dual exhaust, with automatic transmission. 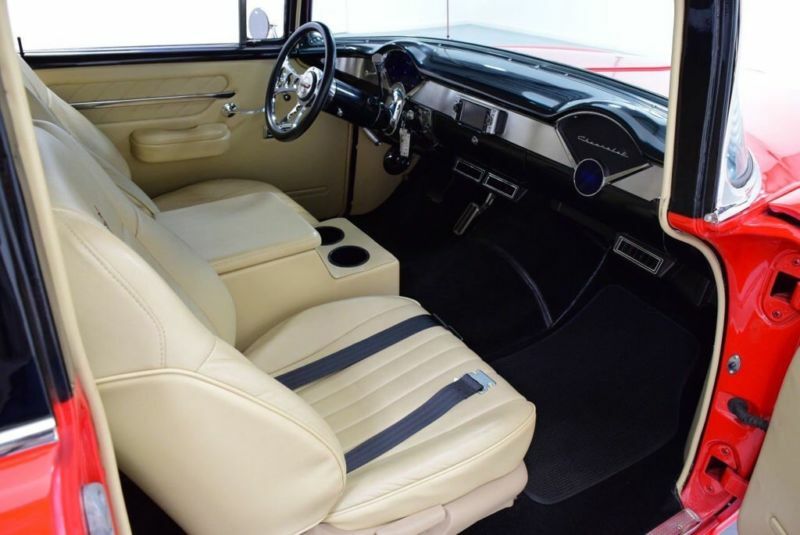 The inside has nice leather seats with buckets up front, all digital dash for the gauges. Electric windows, CD player with drop down TV for the kids. The car needs nothing and is a great cruiser. Drive it anywhere. 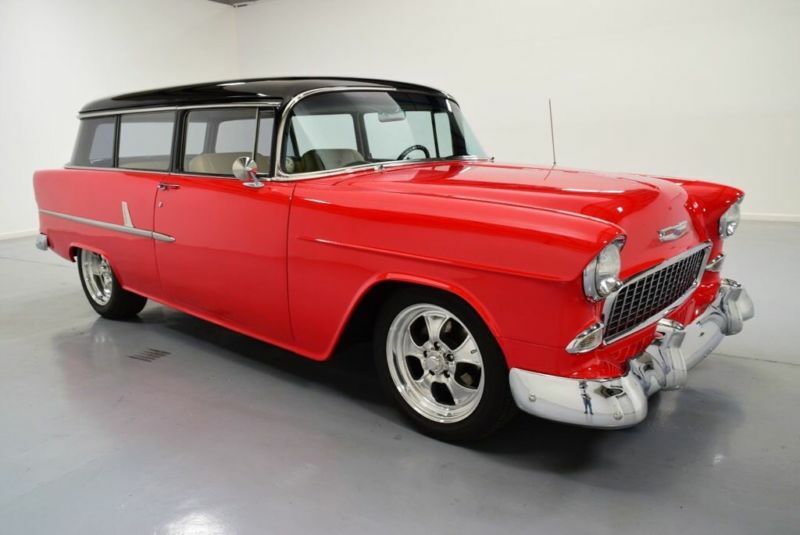 Real '55 Chevrolet 210 Handyman Wagon - kin to the Nomad. 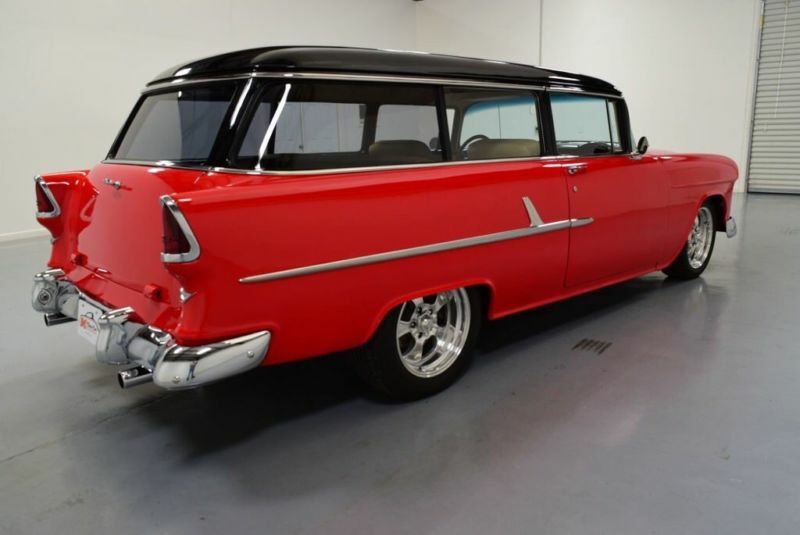 Red and black two-tone paint. 350 cubic-inch small block Chevrolet valve covers, air grabber, compressor, March pulleys. Edelbrock four-barrel carburetor Edelbrock intake long tube headers TH350 three-speed automatic transmission power steering front disc brakes 17-inch American Racing Torq Thrust wheels. Corvette leather bucket seats Custom panels Custom headliner Custom center console. Power windows and ice-cold air conditioning. Plus, the AM/FM/CD/DVDXM integrated in the dash, Bluetooth capabilities, Dakota Digital gauges.